IT'S OFFICIAL!!! Our orders are in! The Navy is moving us next week and we'll be in DC by the second week of October! After 10 days, 20 total traveling hours, and a WHOLE lot of help from Papa Raftery, our new home is found and were off to DC! I would love to report that we have pictures of the house but unfortunately the craziness of this week caused some picture shortages! Landon loved his first Metro ride! We'll be using this awesome public transportation a lot - especially since its 5 minutes away. Daddy-o loves his Chipotle (as we all know at this point). We traveled down to Chinatown for some Mexican - sounds strange I know! Thank you to all the love and welcoming we felt in DC! Papa Raftery - you are such a blessing to us and I can't thank you enough for all your generosity! The kids loved spending time with you and I truly look forward to the next few years. Megs and Ben - you guys are great! Thank you for taking on the challenge of 4 kids while we house hunted. It was awesome being there while you welcomed your beautiful baby girl Keira! Can't wait to be so close to you all! We said goodbye to part of our family yesterday. 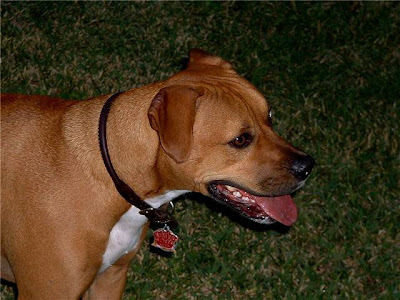 Max was a special dog that I will remember for his strength, agility, protection, and love. He had a life where he encountered some unfortunate events which I believe led him down a road of pain and as Kennedy puts it he became "not nice". We did what was best for the safety of our family but it breaks my heart to see him go. Pets are an amazing gift that we are given in this world. They teach us more than we realize! Kennedy is in the process of writing a letter to Jesus and telling him how she's sad. I told her He would love it! As we embark on our trip up to DC today, we will remember all the joy and memories we shared. Max, you will always be loved! Thank you for the years of happiness you brought to our lives! Thirty three years ago, God brought my best friend into this world! This picture sums it all up for me! a man of character, wit, and whole lot of charm! Happy Birthday to You Babe!